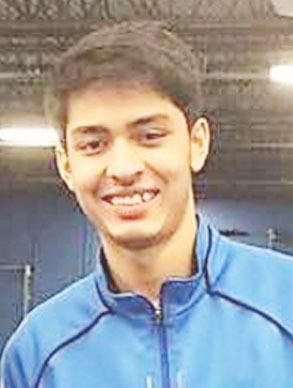 Guyana’s top senior badminton player Narayan Ramdhani has secured a scholarship to play for the Kings’ University Eagles Badminton team after successfully completing a try-out session a few weeks ago at the University in Edmonton, Canada. The 20-year-old, who is also set to complete training stints with B-Active High-Performance Badminton Club, also in Edmonton, will spring into action immediately to play in the upcoming University Championships next month. Only recently Ramdhani concluded his two-year Diploma in Sports Science in Vancouver, Canada. He continues to merge his academics and sports and will pursue a four-year Bachelor’s degree in Commerce while at Kings University. Ramdhani, during his vacation to Guyana in June, played in the Guyana Olympic Association, Olympic Day National tournament which he won. He was also involved in conducting a training camp for schools at the National Gymnasium in July. National representation in 2018 saw him turning out for Guyana at this year’s Central America and Caribbean (CAC) Games in Barranquilla, Colombia and the Carebaco International in Suriname in August last where he won two bronze medals.